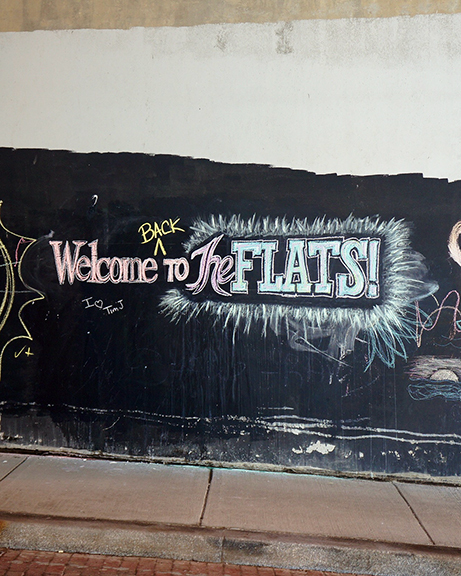 Cleveland's Historic Warehouse and Flats Districts were connected by a chalkboard wall that had been created 13 years earlier to cover graffiti, but had since been neglected and vandalized. 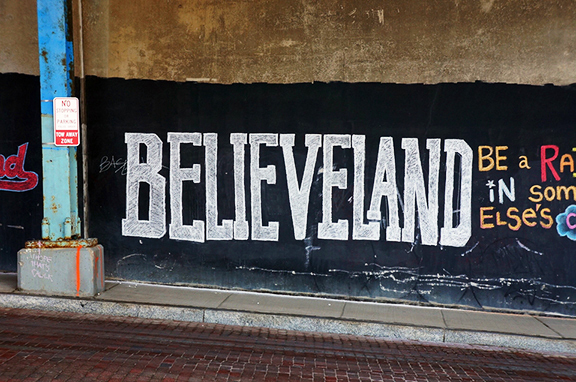 Seeing this as an opportunity to redefine the neighborhood and create a positive experience for visitors, I organized a Chalk It Up event with some colleagues and created the large scale murals that have since redefined the area as "Believeland." This work has been embraced by everyone, radically shifting the way people view the neighborhood, Clevelanders, and Cleveland itself. Based on this initial murals, Nike selected the site for its Together campaign, the return of Lebron James to the Cleveland Cavaliers. They brought us back to create Believeland II for the occasion. We returned for Believeland III the following year. 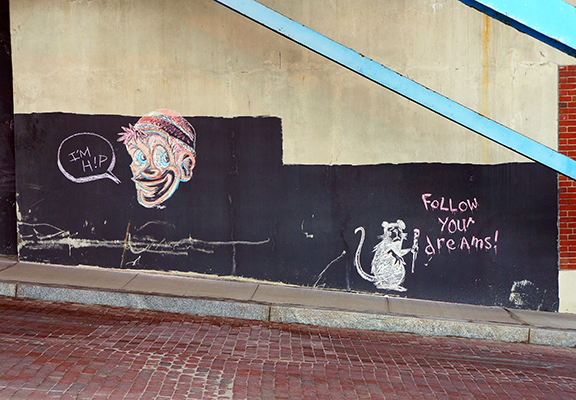 8 chalk murals, various sizes, approx. 700 sq. ft.